Leaving Richmond is an ambient, atmospheric rock music project formed in New York, NY in 2007, now residing in Los Angeles. I actually started the project back in 2007 when I was still living in NY. It was more or less just a side project to explore my fascination with and love of instrumental rock music. I recorded a few pieces for various podcasts and broadcasts and put them up on the web. The feedback was good so I continued. Jordan Pier is the man who started the project. Before that he played in different bands. I started playing the alto saxophone when I was in the 4th grade. 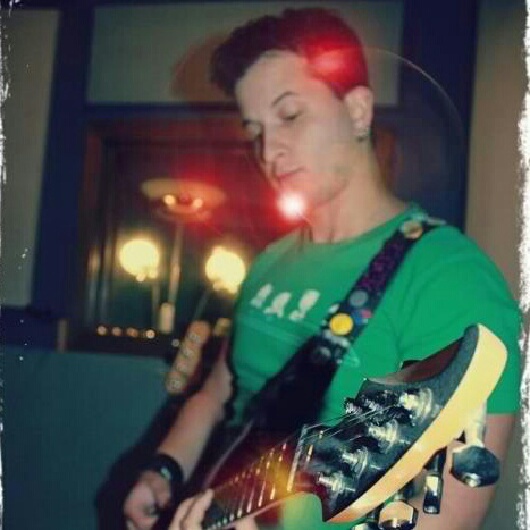 After years with that instrument I moved onto the guitar and started playing in different bands. Those bands were more typical in their line-up (vocalist, bassist, drummer) and the sounds were more mainstream, alternative pop/rock. I enjoyed writing in and playing in those bands but never really, truly loved it the way I love what I am doing now. I was in 3 or 4 bands before coming to LA and ultimately making Leaving Richmond my main focus. The project is not a one-man project. After the move to Los Angeles Jordan Pier expanded the “band”. The project is two people. Adam Sanborne, who I started working with when I moved to LA and myself. He started in a producer/engineering capacity and then with the success of the first EP, the whole thing burgeoned into a duo. Leaving Richmond isn’t your ordinary band. It is an instrumental project, which makes being involved with film and TV a natural situation. I have actually written original music for current Red Cross commercials, a web series and a number of popular cable TV shows. All of the Leaving Richmond material has been accepted into publishing libraries like Pump Audio and Music Dealers so we are in good position to be licensed. It is a very big focus to marry our music with film and moving image. It is just a really organic situation. Gigging is a whole different story, but not impossible. Gigging has not been a main focus as of yet because of the niche genre into which we fall. We have done a number of intimate, acoustic gigs and will be performing live during some upcoming radio interviews. 2013 will be the year we really get the live sound perfected and start playing out. There are venues and audiences that will check this type of music out, you just need to look a bit harder. 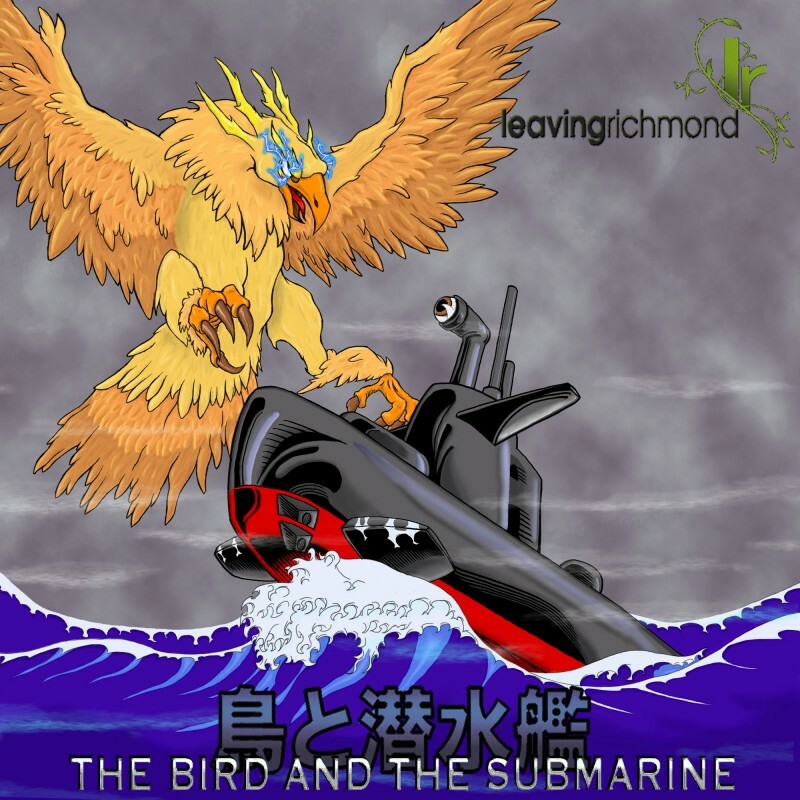 With “The Secret Traditions Of Washington Ave” and “The Bird And The Submarine”, Leaving Richmond released already 2 EP’s. It’s been a instructive journey. I have to say, without sounding too cliché – life changing. As I recorded more and more, I really realized what a viable, legitimate project this was becoming. Everything from the writing of the songs on an acoustic guitar, to recording and producing, to sharing and promoting, every part of the process is still joyous to me. The reaction to the released music has been good. We have received a number of really thoughtful, amazing reviews from bloggers, podcasters, radio show hosts and listeners in general. One of the cooler things is we tend to get played not only beside some of the greats acts in the genre, but alongside other more traditional rock acts (those with vocals). People are always dropping a line to let us know how they feel about the music and it is really inspiring. Artists get their inspiration from different places. I am a big fan of cinema. Individual scenes or prevailing themes in movies tend to provide a lot of inspiration for me. Also, the idea of writing a tunes in a way that allows the listener to personalize it. By that I mean each listener can use the songs to soundtrack their thoughts on a truly individual level. They can take away from the music whatever their heart desires. So in that sense, life in general is a big inspiration. I start by arranging and constructing the song on an acoustic guitar. From there I add electrics, effects, bass, synths etc. Adam crafts the beats and we put it all together, sit on it and then come back to it. Once it’s produced and ready to go, we let it loose. What’s the favorite of their own songs? At the moment, Backlit Narrative has a really special place in my heart. It changes, from time to time, as to what song will be in my top spot depending on what is going on around me. An artist is never done making music. Our next EP, “Human Minds, Robot Hearts” is written and we’ve begun recording the first track. I am really excited because it will be another evolution of the sound, combining the electronic aspects from the first EP, the rock aspects from the second with some new ideas and directions. What are they looking forward to? We want to increase our audience, play good shows and be a part of interesting film projects. To be able to do this forever and to create a lasting impression on the genre and the listeners is really the end goal. We want to put something out there, a legacy, that really be a positive and memorable part of the musical landscape. As a instrumental project, there must be some tv shows or movies you want to be working with, be a part of? Off the top of my head, to get music in anything by Guillermo del Toro would be amazing. I think Nurse Jackie is a really amazing show as well, so being a part of that would be cool. Our music tends to invoke more contemplative emotions, so film projects with an added sense of drama and introspection would be a great fit. Find out more about Leaving Richmond their music here.